Thank you! Not much else I can say. What a bitter sweet post. So sad that they're both ill but so lovely that their love is so strong and they're spending their time together. I have heard it can happen – this is pertinent http://heartdiseasediabetes.suite101.com/article…. i am very sorry for you that is a very sad story. my mother died 87 last sept she didnt really suffer it was very quick. I'm hoping for their sake it doesn't drag on for too long. It's a very weird phenomenon. My grandparents died within 6 months of each other as well. Lots of hugs hun. You guys are doing a beautiful courageous thing. I've heard of it happening but am now seeing it with my own eyes. Very interesting articly Tony…thanks for sharing the link. I may show it to hubby. It is all so very sad. Your hubby must be exhausted – I know from your tweets that you both have been under so much strain. But at least you know that you have done all you can – and getting them together is a wonderful thing. It certainly sounds as if your Mother in Law has just given up. I do believe that people do die of broken hearts and maybe she just cant imagine life without him. Maybe that is her way of "shutting out" that her husband is so ill. Being with someone for 53 years is an awful long time – and perhaps she just want to stay with him. All I can say is do your best. Thats all you can do and hopefully by doing that it will be a comfort – especially to your hubby in years to come. Have to say we've both done everything humanly possible. She's doing exactly that. Bless her. my grandparents were married for over 70 years and died within a month of each other. my grandpa had said he was ready but had to take care of grandma…when she died he could rest…and that's just how it happened…she went first and he was right behind. it was beautiful in it's own way…poetic even. who could hope for more for themselves even though it's hard at the time for those left behind…take good care of yourselves so you don't get run down during this emotional journey to come. I don't have 1st-hand experience here, but having one's life-long companion in a prolonged fight for life is quite stressful. Stress is a negative corporeal influence, especially for someone of advanced years. So it stands to reason that when one spouse is ill or worse, that the other suffers as well and can very well follow suit.I can only imagine the stress your hubby is going through. I'm an only child myself (adopted, actually), and I've come to terms with the prospect of my father passing – after a series of stuff over his eighty years – but losing them both in short order is something I'm probably very ill-prepared for. I am so sorry to hear of your news. I have heard of close couples leaving this realm like that so close together. My mum died last year and your husband will find a way to cope but in the meantime, he will react normally but that may well include both physical and mental changes. I have slept so much for example and then lurch from black humour to tears and back again. I hope your husband has something to hang onto in terms of a faith, a belief in the strength of spirit and the legacy that he will be for his parents. Hard times but I am sure you will be there to support him. And well done you, on reaching out on Twitter etc for support. You will need it too. 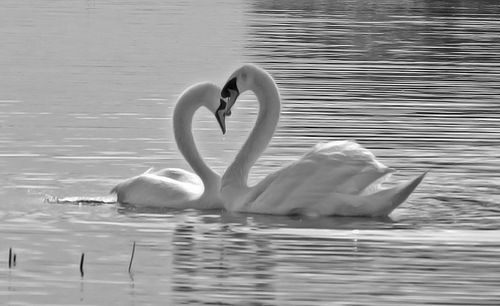 Lovely images of the swans. I am speechless, but not surprised. There are strange things at work when it comes to love and life. I do believe people choose when to go. my thoughts are with your husband. Bitterly sweet is a good description. I guess when you wrote that you didn't expect your father in law to be so very close behind. They really didn't want to be apart did they…I am sure you will all take some comfort in the fact they were together for their last days, and, their suffering is over. I am so sorry for you and your husband. I shall be thinking of you all. So sorry for your family's loss. It's bitter sweet that they couldn't live without each other, but at least you know they're together and one doesn't have to suffer the loss of the other.You've been an amazing source of strength to your husband and daughter, and on Twitter and on here we're all thinking of you. Not very good with this sort of thing…but have had a very emotional 2 days with all of this…..Peter sends his love to you both, his Father dies very suddenly with no chance to say goodbye. Jamie asked me what the matter was this morning when I came off the phone to Chrissie in tears and he was very upset also. I'm glad they are both together, it seems obvious that is what they both wanted. Sent you and hubby big hugs on twitter but wanted to send them again here. I hope you both find the strength to deal with the pain. What a touching tale. And so raw for you right now. I am so, so sorry for your loss. Very sad news to read, but it would seem that they were both at peace (yes I have also been following to goings-ons via Twitter). Maybe now you can all take time to think about all of this, not too deeply, and come to terms with what has happened. Things obviously won't be the same again, but lets hope that they only get better. We're all here, should we be needed, whether to share a shoulder or offer distraction. It must be so so tough for you all now. 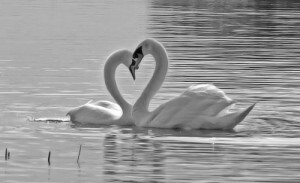 But when the initial grieving is done and time passes, I hope in a way that it will help you all to know that neither of them had to deal with coping without their partner. I'm so sorry for your loss. I hope they both rest in peace. Together, which is what they surely would have wanted. Many condolences on their passing but I hope that you both can take great comfort in the knowledge they spent their last days as they would have wished – together. I know that you have both done so much to help and support your MIL and FIL in recent weeks and it's been tough. So sorry to hear your sad news. Sending much love and ((hugs)). So bittersweet that they went almost at the same time. How lovely that neither one had to bury each other, I dont suppose thats any comfort now but it will be. My condolences to you both and all the family. This must be a very difficult time for you all. Thank you for sharing something which must be very difficult. My condolences to your husband, you and your daughter. Wishing all of you strength in the days to come. I'm so impressed that you 'stole' her away to be with her love for the last days. And yes, very bitter sweet that they died together. So sad for your poor husband. But you should all be proud that you enabled them to have this time together. Hugs to you all at this sad time. What to say? It was the best way in the end… sad and sweet at the same time. Sooo glad they were together. It ook me a while to piece together your story when I got back from Kimberley (no internet connection at my sister's house) so I only just figured out what happened. I hope you both (and the little one) have chance to relax at your mum's and let her take care of you for a while. Many years ago, my mother’s father died of heart failure (as did most of his family, and so did my mother many years later). My mother’s mother died of cancer six months later – but really, I think she died of a broken heart. My own mother died 7 years ago, and my father currently suffers from a form of survivor’s guilt because he believes that he “should” also have died quite soon, to show how much he loved her. It is very sad to watch. Pingback: What makes you cry? So so sad but strangely lovely at the same time. So glad for them and for your husband that they were together at the end. My Great Aunt broke her hip. She could have recovered and got home with support but sat in her hospital bed she told me she’d had enough and she wanted to be with Alec her late husband. The next day she passed away. I really do believe that Broken Heart Syndrome exists. Oh heck, tears! A beautiful post, really beautiful. This must have been such a hard time for you both. I think you’re right, he waited for her to go first so she didn’t have to deal with the pain. What a love story. It was truly remarkable. Thank you. Oh my goodness. This had me in tears. So sad, yet so much love. Hope you are both ok today. Previous Previous post: Fight Like A Girl! Next Next post: Let’s Table it!